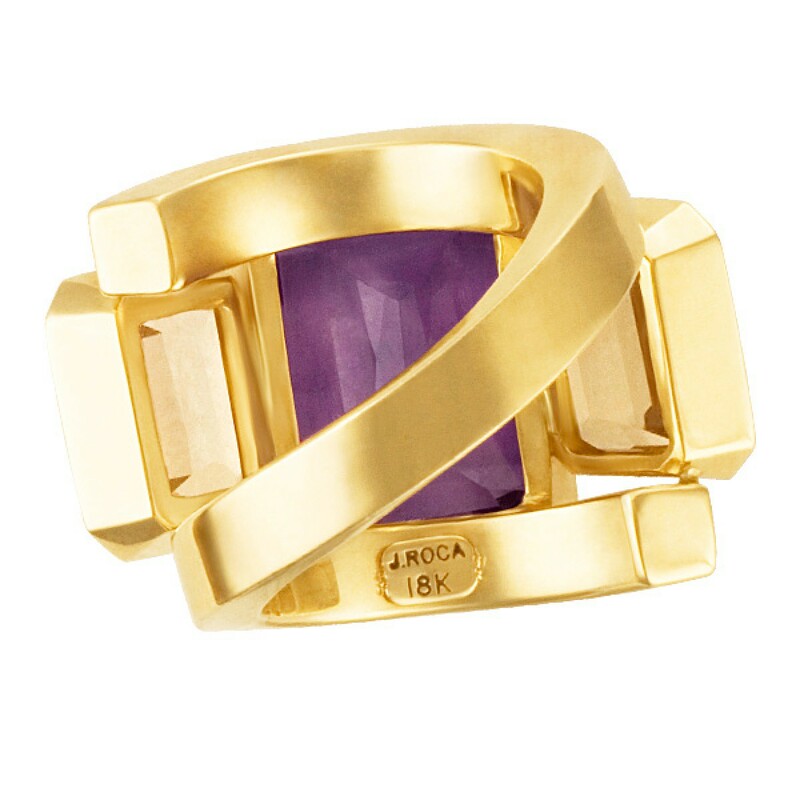 J. Roca 18k ring set with 3 rectangular semi precious stones. 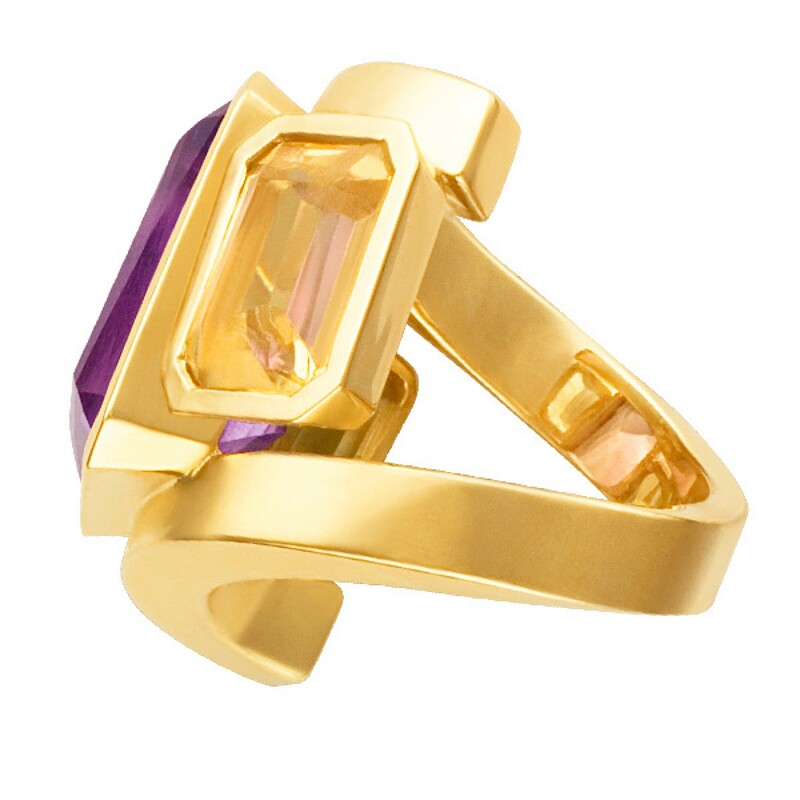 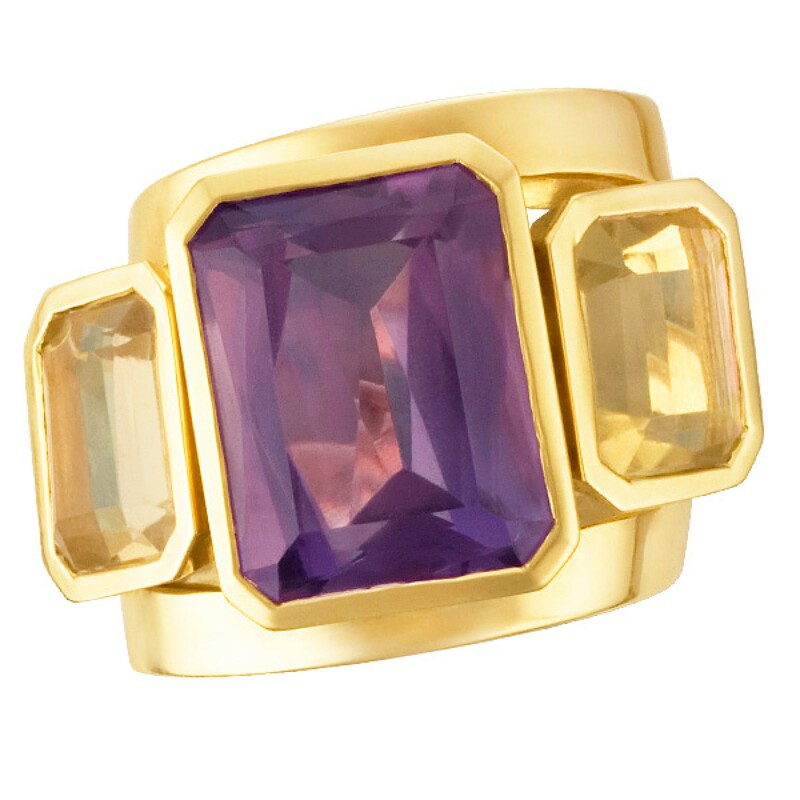 Create a statement with this expensive looking Amethyst center stone and two Citrine side stones. This ring is currently size 6 and some items can be sized up or down, please ask! 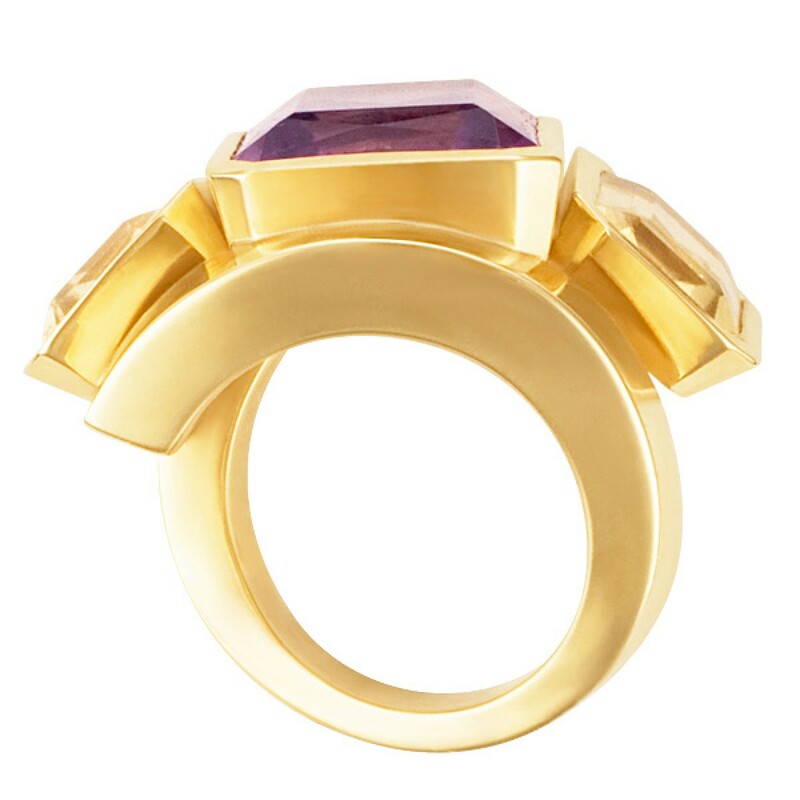 It weighs 16.6 pennyweights and is 18k.